It’s important to protect your dog’s paws from the elements, but not all dogs will put up with wearing booties. 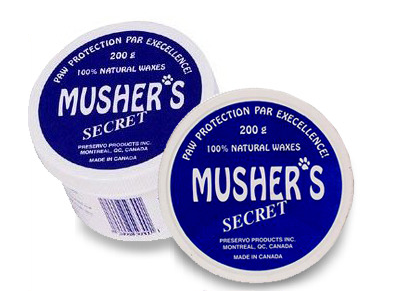 This 100% natural paw wax from Musher’s Secret is perfect for protecting your pups tootsies from sand, ice, hot pavement, and salt all year round. It dries within seconds of applying and prevents burning or cracking. It also works to improve your dog’s traction if he or she has problems on slippery surfaces! I’ve even heard it works great on chapped noses, too! This 200 gram container is on sale right now for $16 including shipping from doggyloot. 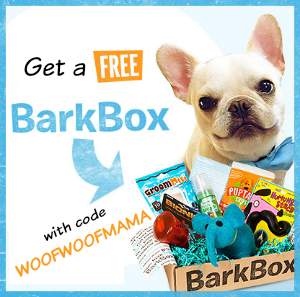 It gets even better, because first time doggyloot subscribers can signup here and get $5 OFF your first pet deal. It will automatically be applied at checkout, making your cost just $11 including shipping! That’s a huge savings off the regular price of $34. Don’t need paw protection? 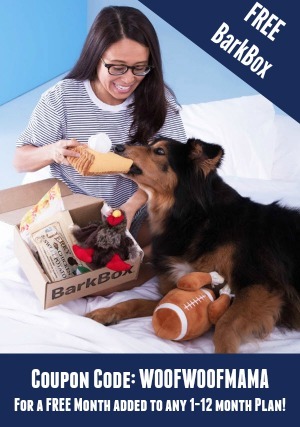 Use your free $5 instant credit toward a KONG Toy, Zuke’s Treats or other great stuff your dog will love. Everything ships for free with no minimum order required! 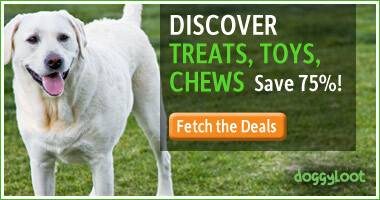 Browse all pet deals and start saving! Daisy tore her paw pad recently and I tried getting her to wear one of my socks to keep it dry and protected, but that didn’t work at all! She just pulled it off with her teeth and then licked off all the neosporin I’d put on her wounds. I wish I’d know about these disposable and reusable, waterproof dog boots. They’re also perfect for protecting your dog’s paws from the cold pavement and sidewalk salt if you live up north! 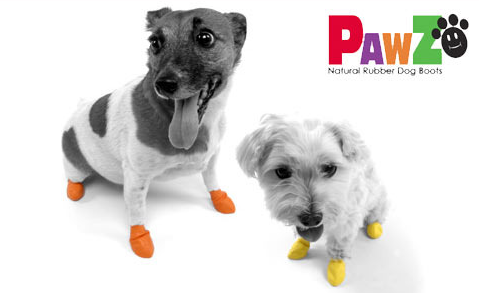 You get a pack of 12 Pawz rubber dog boots for only $11 including free shipping. Made of natural rubber, Pawz are 100% biodegradable and designed to go on easily and fit securely without zippers or straps. Pawz feels natural to your dog because without padding your dog feels the ground, providing a needed sense of security. Like a sock, Pawz moves with your dog, allowing full paw motion and maximum comfort. But unlike socks, they aren’t easy for your dog to remove on their own! There are 12 per pack and each boot may be worn many times. Visit DoggyLoot for size chart, color choices, instructions on how to measure your pup’s paws, and to order this and more paw-tastic pet deals! 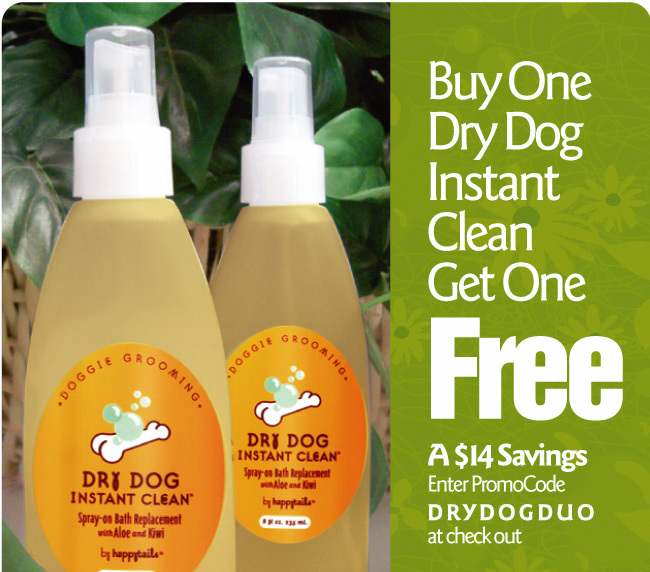 For 72 hours only, Buy One Dry Dog Instant Clean get one for FREE! Just use happytails promo code DRYDOGDUO at checkout. This is a savings of $14 Off the regular price for this dry shampoo spray for dogs with natural aloe and kiwi. This all-natural formula cleanses without water, rinsing or mess. Unlike other bath replacement sprays Dry Dog Instant Clean doesn’t just mask bad smells with heavy perfume it eradicates them completely. Keep a bottle by the door for those muddy paws! Visit happytailsspa.com for more info and to order. Shipping is a flat rate of $4.99 on all orders. 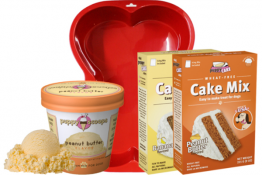 Deal ends 10/21! 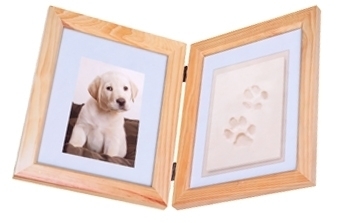 Pet Paw Print Keepsake Frame Kit $19.99 Shipped ($30 reg)! 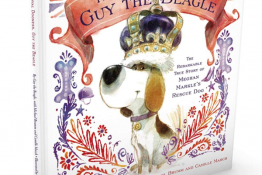 Here’s a PAWtastic gift idea! 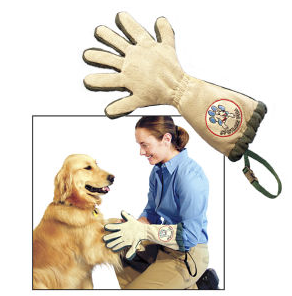 Or treat yourself to a deal with this Paw Pet Impression Frame Kit for just $19.99 including Free Shipping. That’s $10 OFF the regular price of $30 and the memories you capture will be priceless! On one side of the hinged frame, there is a spot to put a 4×6 picture of your pet and on the other side you get to add unique paw prints of your pet with the help of the kit’s easy-to-use molding putty. What a cool way to create a memorable keepsake of your fur kids! There’s a limit of 5 per person but you can buy 2 as gifts. 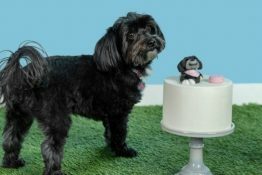 Visit Coupaw.com here for this and lots more great pet deals each day.